This one is going to be fun. 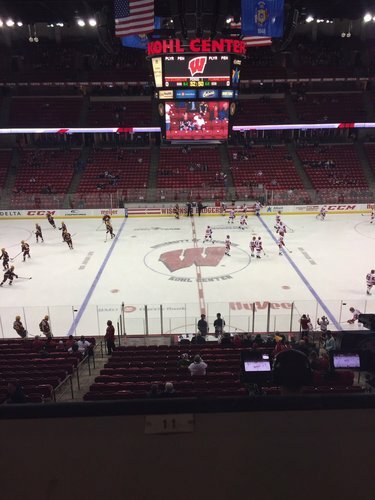 #BorderBattle starts in about 90 minutes. Time to hit the ice. #BorderBattle #Gophers 〽???? Healthy scratches: Soleway, Zirbel, Labosky. Freshman Jack Berry gets the start between the pipes. Worth noting that all six of the Gopher's defensemen have been drafted by NHL teams. They are all also from Minnesota. Teams are out for final warmups and the national anthem. Puck drop is just a few moments away! Starting lineup being announced. Lower bowl mostly full, second tier about half full, third tier way more full than usual. Crowd energized. 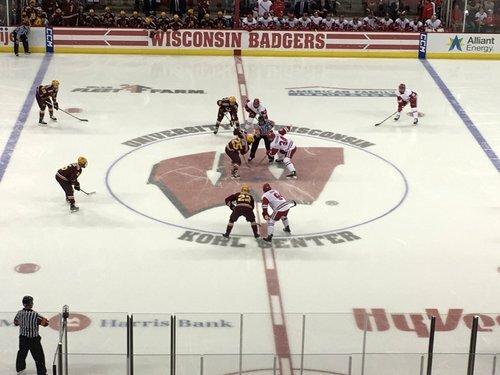 And we are underway in the #BorderBattle ! 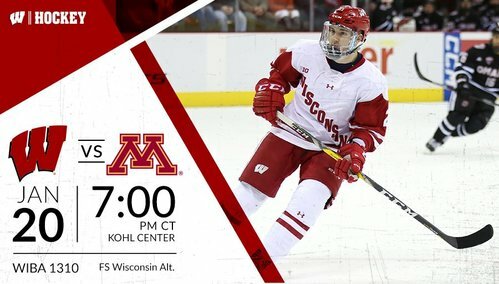 10-7-1 Badgers take on the 13-5-2 Gophers. Game 21: HEY. DROP. THE. PUCK. Early chance by Will Johnson goes just wide and a nice stop by Berry and a partial breakaway. Two minutes gone by in the first. #GOPHERS GOAL! Sadek finds Bristedt in front who buries it to put Minnesota up 1-0! GOPHERS GOAL: Leon Bristedt tips in a Sadek centering pass, and it's 1-0 Minnesota with 15:30 left in the first. Minnesota gets on the board first to go up 1-0. 15:30 left in the first. 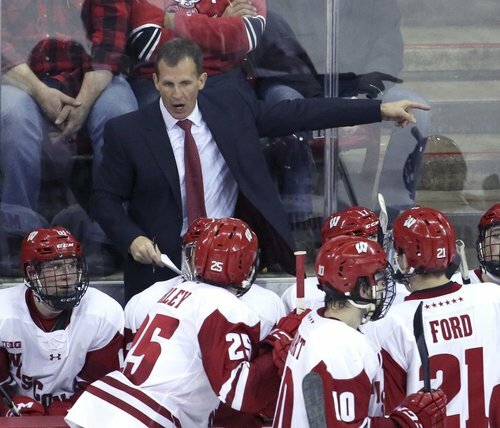 Badgers get called for too many men on the ice. They'll head to the penalty kill for the first time tonight with 14:47 to go in the period. 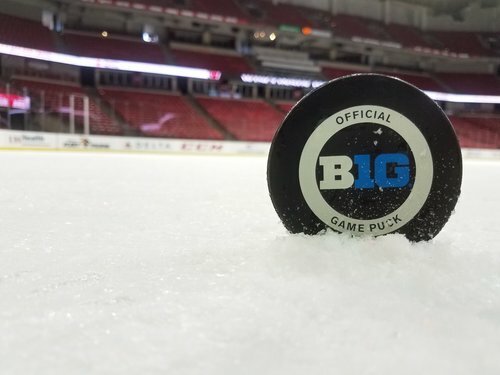 Badgers get called for too many men with 14:47 left in the first, trailing 1-0. First media timeout of the game and when we come back the #Gophers will be on the PK. Bench minor for too many men on the ice. 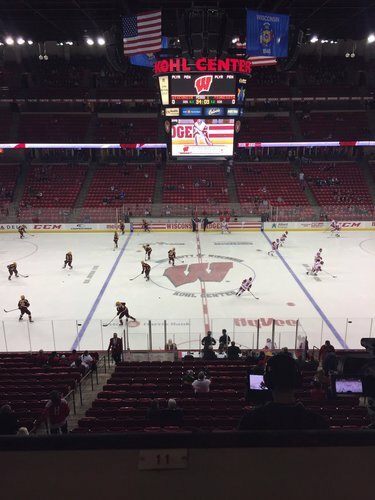 #Gophers will have their first PP of the game as Wisconsin gets called for too many men on the ice. UW's Wagner loses the puck trying to make a move on a shorthanded breakaway. Kill! Both teams are back to full strength. Seven and a half minutes gone by. 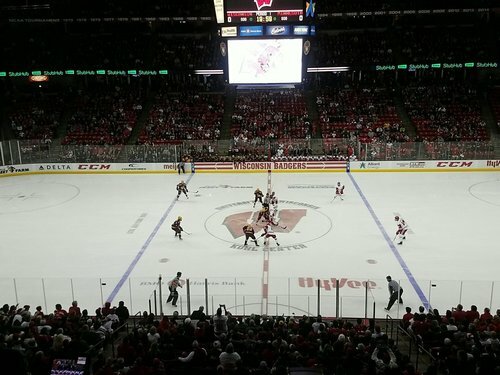 Minnesota leading in shots attempted (12-4) and on goal (7-1) with 11:56 left in the first. 1-0 Gophers. Minnesota adds another one to double their lead and make it 2-0. 8:18 to go in the first period. #GOPHERS GOAL! Szmatula grabs a rebound and sends it in the back of the net! Minnesota leads 2-0! GOPHERS GOAL: Mike Szmatula on his third try from right in front alone makes it 2-0 Minnesota with 8:18 left in the first. We will have our second media timeout of the first period with 7:30 remaining. #Gophers lead in shots 12-2.